Home / Blog / Sales Value Proposition | What does this really mean? What’s your sales value proposition? 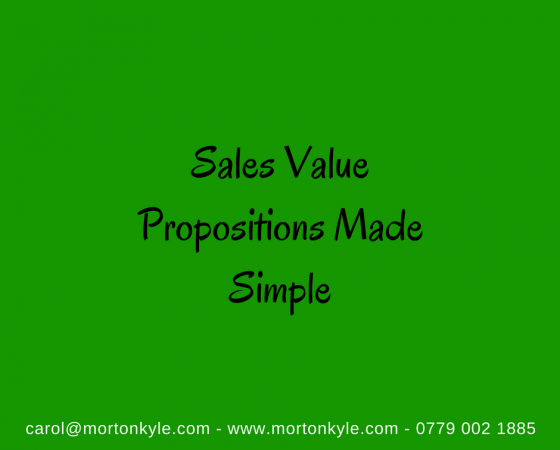 There are loads of statements floating about at the moment about the ‘sales value proposition’ and such associated terms. Listen to any sales guru long enough and they’ll come up with their variation on the theme. I do it myself when I discuss Value vs Risk vs Price with my sales trainees and how we need to balance all three to really get a win-win. But with all the different conversations around value and sales value propositions at the moment, I wanted to shine a strong light on what can be overwhelming for sales teams struggling with cryptic and non-specific messages about how to win clients. The Sales Value Proposition is not the same for every buyer. Think if you’re selling a chocolate bar to a prospect. If that prospect is a busy parent wanting to keep something in the car for energy dips, then the value proposition for the chocolate bar is wildly different to the Arctic explorer. The Arctic wants chocolate in his pack to bulk up his calories to compensate for huge energy draws. Totally different sales value propositions. 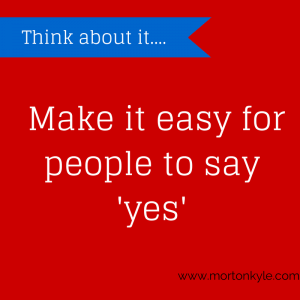 Most business sales value propositions have more than one proposition. It might have a reducing risk element, it might have a saving money function, it might have an efficiency/effectiveness factor, it good have a green credential, a corporate social responsibility element, a stress reduction function. Needless to say, the more sales value propositions you have the better. But don’t be fooled, because not all of these will be equal, and, more doesn’t always mean better. Every sales value proposition has a monetary fee attached to it. Therefore every sales value proposition needs a very robust and totally transparent ROI to go along with it. Words are not enough, where’s the payback? is the real question to answer. What is a Sales Value Proposition? It’s a set of values you construct with the prospect during the sales process, that your prospect will enjoy once they become a buyer. In the example above, the Arctic explorer will enjoy the energy dense food source, the small/light carriage, the longevity of the product, the resilience of the product to severe temperatures without decomposing. So, it’s during the discovery phase of the sales process that a sales person can work up, with the information provided by the prospect, what that prospect’s very specific sales value proposition actually is. Is this the best way to look at the definition of the Sales Value Proposition? I think, where it’s easy enough to understand the example above, there is still a terrible tendency to assume that all buyers and prospects have essentially the same need. And that’s wrong. It trips too many sales people up. I prefer to use the word ‘FIT’, because FIT seems more relevant. It gives a concept, that many people make quite complex, really simple. Instead it’s replaced with ‘If we are to work together, how can I ensure my firm is the best FIT for your firm, what does our solution need to look like for you to get the most benefit from working with us? If more sales teams could approach their prospects with a view to discovering the best FIT, then I know the quality of sales questions would dramatically improve. Likewise the sales conversations will be more meaningful and the idea of ‘pitching’ would be replaced with ethical consultative selling. 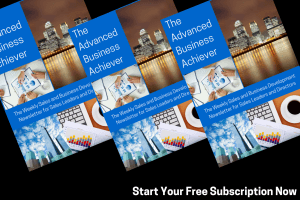 The Advanced Business Achiever – get your free copy here. p.s. if you’re looking for a way to discover your Sales Value Proposition, and how you can be the best sales FIT for your Perfect Prospect Profile, take a look at our Sales Insight Audit, alternatively check out The Sales Innovation and Disruption Workshop. This entry was posted in Blog, Sales Coaching, Sales Strategy, Sales Training and tagged B2B Sales Training, B2B Sales Training Course, Creating Sales Value, Sales Discovery Questions, Sales Value Proposition. Bookmark the permalink.